Turkey will not allow “terror to take root” or “fait accompli situations” next to its borders, President Recep Tayyip Erdoğan said on Thursday (1 October), a day after Russia launched air strikes in neighboring Syria. 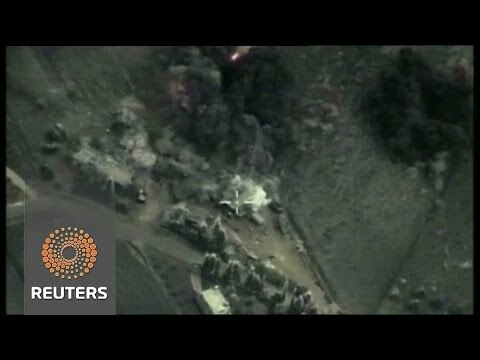 Russia launched its biggest intervention in the Middle East in decades on Wednesday (30 September), targeting areas near the cities of Homs and Hama in the west of the country, where President Bashar al-Assad’s forces are fighting a number of insurgent groups, though not Islamic State, which is based mostly in the north and east. The move by Moscow puts Ankara – which has long called for Assad’s removal – in an uncomfortable position, raising questions about its ability to contain the fallout from a worsening military and humanitarian crisis on its doorstep. Turkey has been at the forefront of the refugee crisis since 2011, when the Syrian uprising began and has spent $7.6 billion caring for 2.2 million Syrian refugees. The EU is now looking for ways to persuade Turkey to do more to keep Syrian refugees on its territory and stop them moving into Europe. “Turkey will not allow terror to take root or one-sided ‘fait accompli’ situations right next to her borders,” Erdoğan said in a speech in parliament. Russian jets launched a second day of strikes in Syria on Thursday, targeting areas held by an insurgent alliance that includes a group linked to al-Qaeda, but not the Islamic State militants Moscow earlier said it had hit. An opposition Turkmen group said some of Wednesday’s Russian strikes had hit US-allied Free Syrian Army sites, and killed dozens of civilians. Russian President Vladimir Putin said on Thursday that assertions that civilians had been killed in Russian air strikes in Syria were an “information attack”. NATO member Turkey has opened its air bases to a US-led coalition against Islamic State fighters, but the focus of its own air strikes has been Kurdistan Workers Party (PKK) militants. Fighting has escalated since a truce between the PKK, seeking broader Kurdish rights, and the army broke down in July. The fighting, in the run-up to November elections, has raised suspicions among opponents of Erdoğan that the priority is to check Kurdish territorial ambitions rather than to rout the Islamist insurgents. The fighting, which began in 1984, has cost over 40,000 lives. Turkey fears Kurdish groups in Turkey, Syria and Iraq could press for the creation of an independent Kurdish state. Ankara has been harshly criticised, not least by the EU it seeks to join, for its handling of the Kurdish conflict. Erdoğan launched a peace process three years ago, but that appears to now be in in tatters.